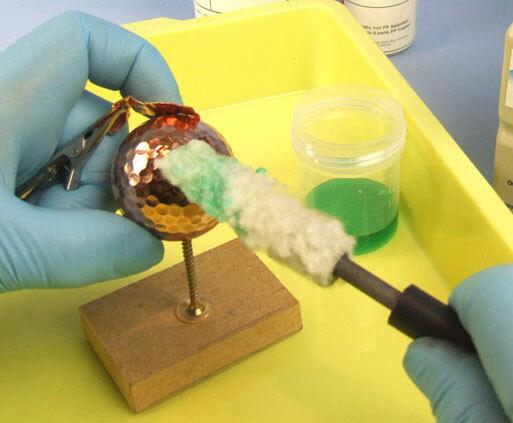 To properly dry the layers of conductive ink for plating on non conductive materials such as plastic and glass, it is necessary to use a correctly calibrated fan oven. This guide will show you the process, using one of out digital Thermometers. Most domestic fan ovens at lower temperatures are innacurate, so checking and marking the desired temperature with a digital thermometer is highly recommended for good ink drying results. 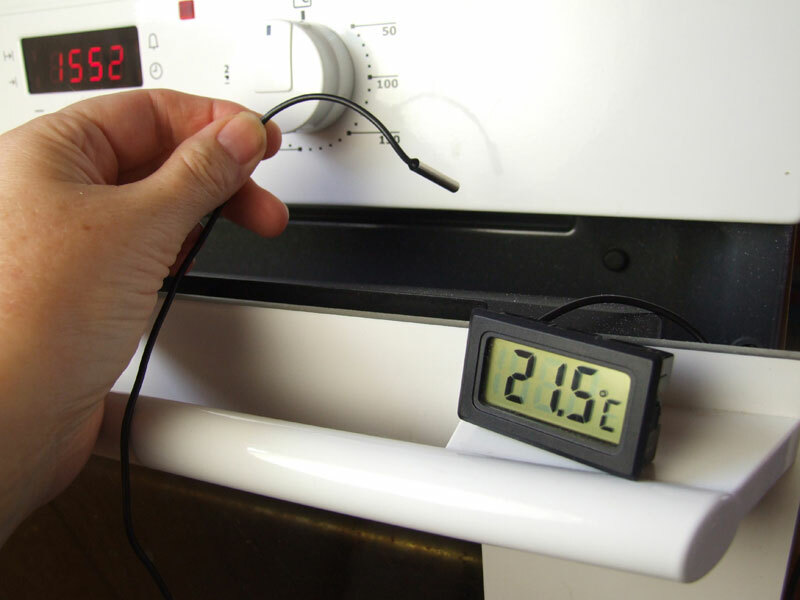 Place the temperature probe in the oven, taking care that it is well into the oven space. Turn on both the temperature dial and the fan to a position half way between 0 and 50. 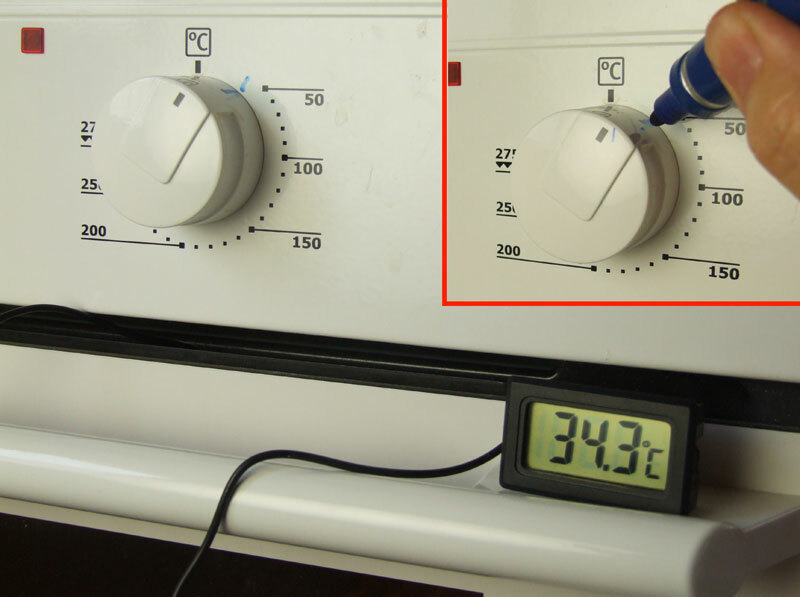 Wait for the temperature of the oven to reach between 45-50 degrees centigrade and then mark the position at some point between these temperatures with a marker pen on your dial. You are now set up to use this oven to dry off your layers of conductive ink at the optimum temperature.